Being in a car accident can be scary and confusing. Between the loud sirens, flashing lights, and overall mayhem, you may not know what you should do to help yourself and your family. At Dashner Law, we know that car crashes can cause medical and financial hardships, which is why we urge our clients to follow these steps if they are involved in an auto accident. The first thing that you should do after a crash is checked to make sure that everyone in your vehicle is all right. If they are not, call 911 as soon as possible. Unfortunately, many car crashes can cause bodily injury, so you should get help for those in need first. If there were bystanders or other drivers who saw the accident, you should talk to them as soon as you can in order to record what they witnessed. Take detailed notes so that you can determine who was at fault. Having a disposable camera in your vehicle is a good way to collect even more information that you can use for insurance and legal purposes. Take photos of the crash from many different angles to get a complete picture of the damage. 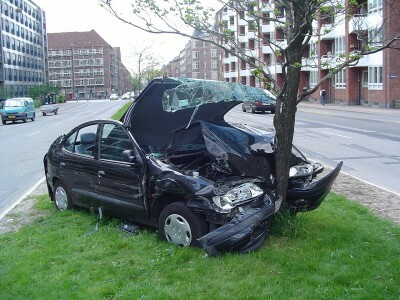 Car crashes often necessitate the use of a car accident lawyer. The professional staff members at Dashner Law have experience with auto accident litigation and we can help you get the justice that you deserve. Call us at 972-793-8989 if you are in an accident.